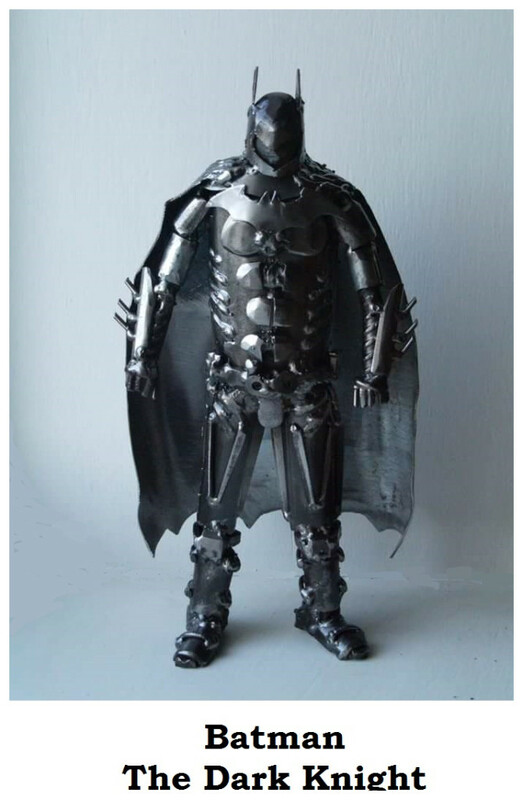 These original pieces of art are hand crafted out of scrap. Jim can build virtually anything that can be imagined and is always on the lookout for new challenges. Finish can be either rustic or laquered, for exterior protection. Jim has managed to combine 40 years of commercial engineering practice with a hidden artistic talent. 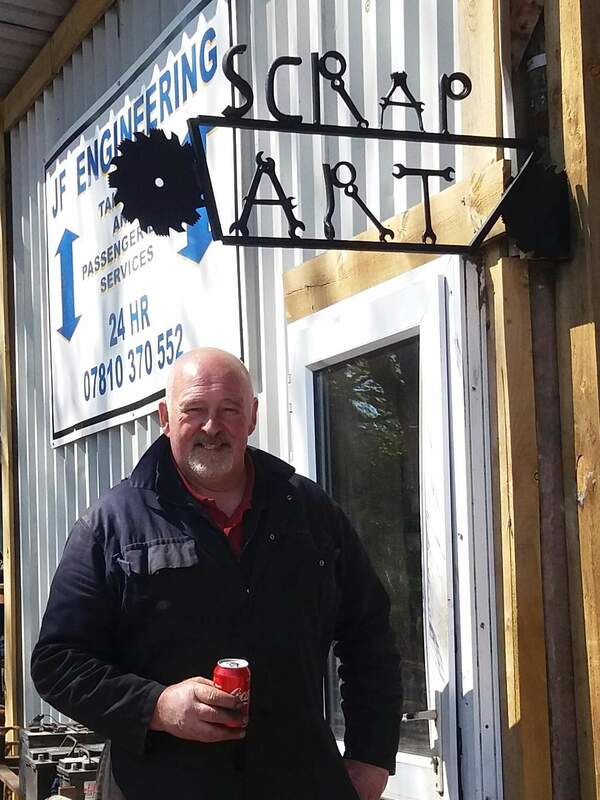 He gives credit to his old school in Carnoustie where technical teachers encouraged him to be creative in metalwork, planting a seed which finally sprouted when he had a wee bit of spare time. His sculptures are now all over the world. 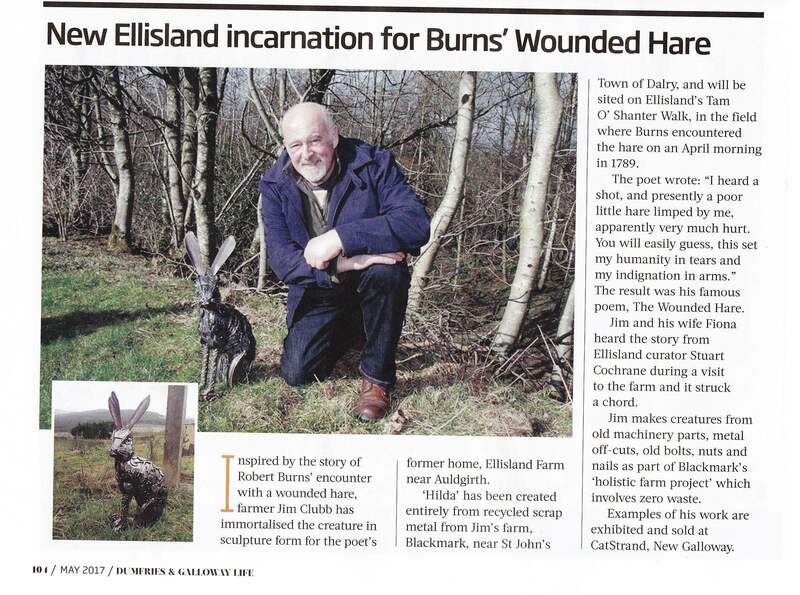 Last year he gifted Hilda the Wounded Hare to the Robert Burns Centre at Ellisland near Dumfries. 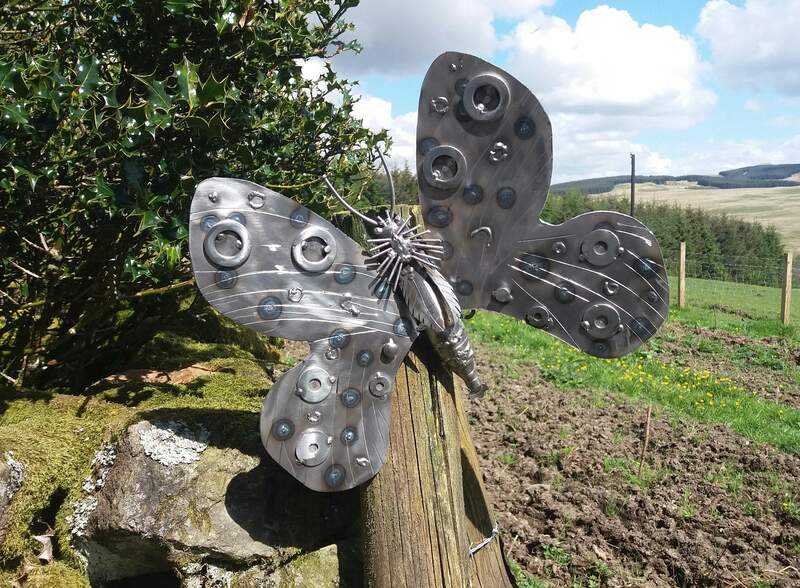 The butterfly shown below was donated to the Carlogie Primary School sensory garden in Carnoustie.